Vertu and creative brand Italia Independent announce the launch of a unique touchscreen handset, “Constellation Blue”. For Constellation Blue, Vertu introduces a number of innovative performance materials to the original Constellation touch, which have never been used before by Vertu. 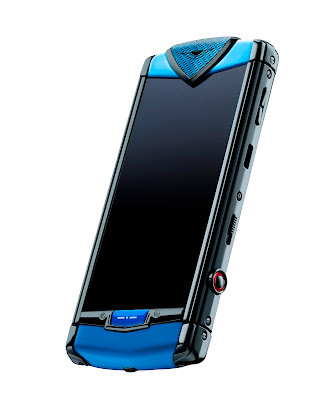 The handsets have been handcrafted from polished ultra-hard blue pvd stainless steel, blue carbon fibre composite, blue metallic sapphire crystal key as well as two-tone blue rubberised leather. Each handset from the Constellation Blue is built by just one craftsman in Vertu’s headquarters in England. A truly co-developed product, the collection is inspired by the purity and simple elegance of the colour blue. Lapo Elkann, President and Founder of Italia Independent said: “I have a great love and passion for the sea . Blue has been the colour of my life. 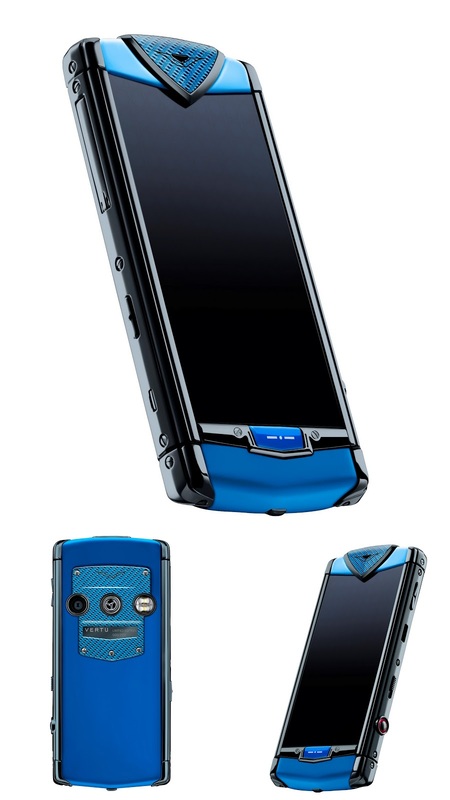 Using blue as the theme for this unique design collaboration seemed therefore natural to me.” Blue has become the very soul of this product and Vertu has made no compromises in delivering the spirit of Italia Independent to every element of the handset. The result is a unique handset collection reflecting Lapo’s ultimate style and unique personality. LUMINE® Japan, noted for its pioneering extraction of Salmon caviar during the Meiji Era more than 100 years ago when Ryoshi fishermen unknowingly used the precious drops in the eggs (ikura) to heal wounds and ease the pain of burns. It seems the skin injuries recovered miraculously without any inflammation or even signs of scarring. 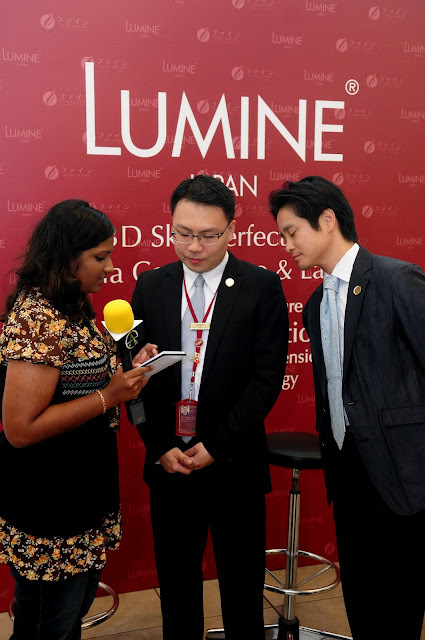 This eventually led Japanese scientist over the last 6 years to develop soothing serums that will form the basis for LUMINE® Japan’s breakthrough formula for healthy and not to mention drop-dead gorgeous skin that is noted for its purity and cleansing properties. LUMINE® Japan has recently launched its 3D Skin Perfection Series. 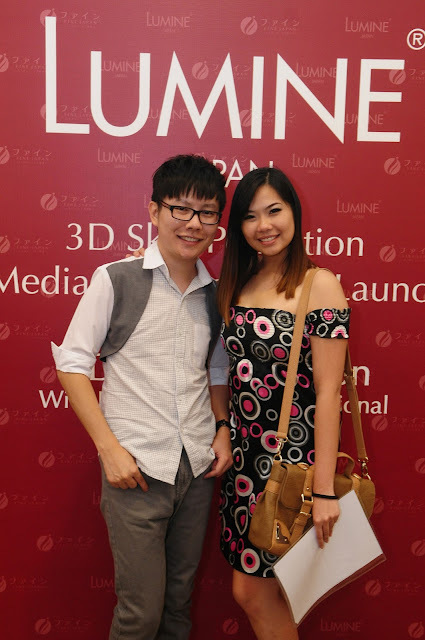 Emceeing the event was none other than the luminous Hannah Tan who lent a token of glamour and credence to toast a new chapter in the brand’s marquee line-up of 3D Skin Perfection Facial Dimensional Sculpting Technology. 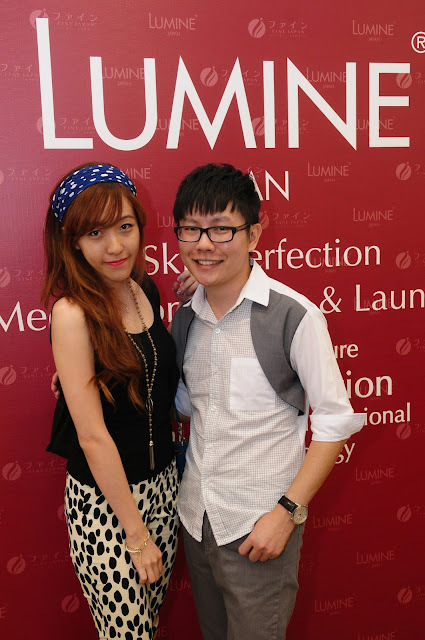 Xavier Mah Consultancy was the appointed PR agency to manage this PR campaign. 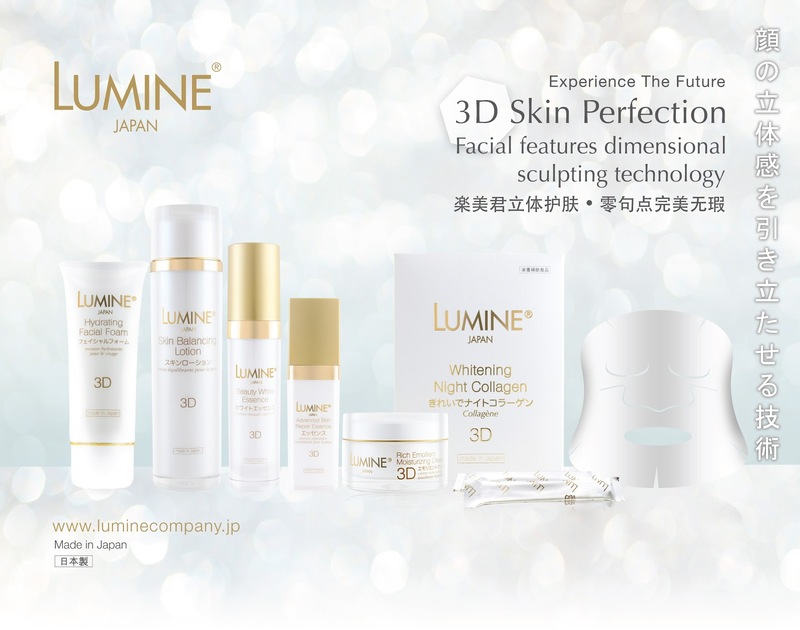 LUMINE® 3D Skin Perfection Series derives all its goodness from a few natural key ingredients that has been proven scientifically to help aging skin achieve perfection and youth once more. Scientists in LUMINE® Japan have researched meticulously to formulate this miracle potion that penetrates deep into the skin and is hypoallergenic to cater to our delicate skin for the best anti-aging effects. Harvesting the natural properties of Caviar from the deep sea, LUMINE® 3D Skin Perfection Series will take you from old and dull to youthful and radiant once again. Caviar, the main ingredient that heals the skin from deep within with its anti-bacterial, anti-inflammatory and skin regeneration properties penetrates deep into the skin cells to renew skin cells. LUMINE® 3D Skin Perfection range also contains Royal Jelly that has wound healing properties. This helps to heal old scars, lesions and imperfections from the daily wear and tear of our skin. Another one of the key ingredients is the pure extract of Cordyceps Sinensis which helps to fight against the main culprit of aging skin; free radicals.